1 Why to buy a folding bike? How practical is a folding bike? 2 Which methods of folding are common? 3 What to look for when buying a folding bike? 4 What are the best folding bikes? Folding bikes were initially created for military purposes. In the 1890`s the french army deployed folding bikes for their flexible bike infantry. Nowadays, folding bikes have no military use anymore, however their flexibility and their usefulness stayed until today. Therefore, more and more people have decided to buy and use a folding bike, especially commuters and casual cyclists. This is due to the fact, that folding bikes are on the one hand extremely practical in terms of storage and on the other hand very environmental friendly. This buyers guide will give you a comprehensive overview of what buyers should look at when buying a folding bike and gives also useful advice to riders you already have a folding bike. Italian Bersaglieri – During WW I with folding bicycles strapped to their backs. 1917. Why to buy a folding bike? How practical is a folding bike? Folding bikes are famous for their capability to be collapsed by often more than half of their size. This gives bikers the opportunity to take their bike with them, whenever it is not possible to ride their bike. A situation like this could be outside of a city in rough terrain or in a town, where in certain places it is not allowed to ride a bike. Furthermore, folding bikes are also highly popular under commuters, who ride their bicycle to work and also use their bike to come home. During the day, they can easily store their bike under the desk, without fearing that it might get stolen outside. 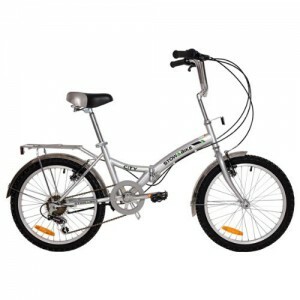 Folding bikes have been designed to get folder or unfolded as fast as possible. Furthermore, many folding bikes have smaller wheels than other bikes. This feature makes the bike more portable, because wheels usually take the highest amount of space, when a bike is disassembled. Most folding bikes have a wheel size from 20 and 26 inches. Because of these design features, folding bike constructors have come up with other frame designs as the usual diamond bike design. Which methods of folding are common? In comparison to road bikes, there is no real standard for folding bikes. Therefore, such bikes let the constructor to have a lot of free scope in their designing process. Basically their are 3 common folding bike designs: Mid Fold, Triangle hinge and the Breakaway Bike. Mid Fold folding bikes are as the name says, folded in the middle of the frame. This makes these bikes usually extremely robust and compact in its size. 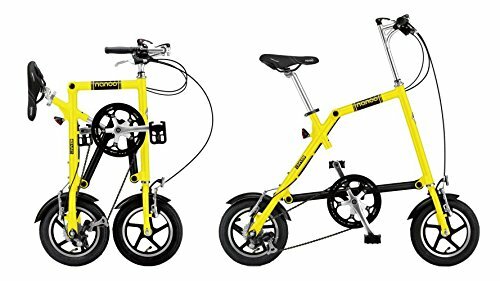 Most of the folding bikes on the market are mid folding bikes and some manufacturers have specialized on this type of bike, such as Dahon. 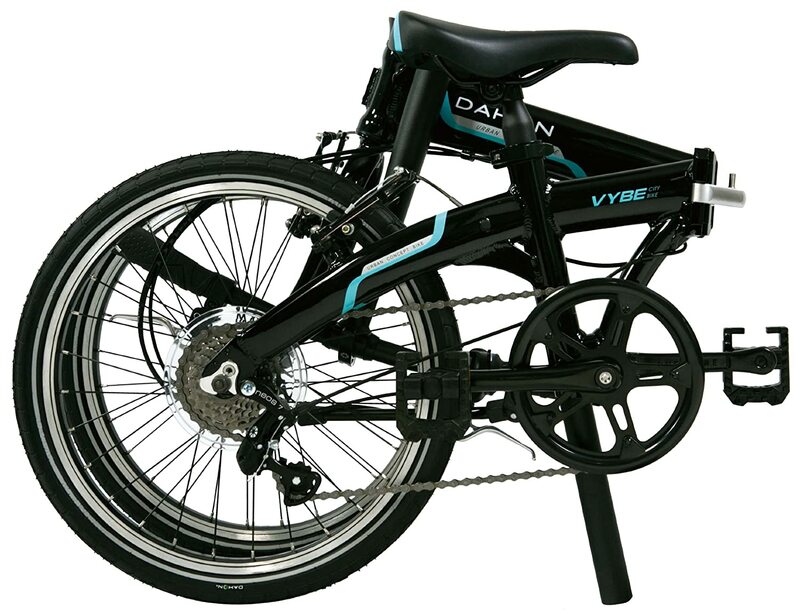 Below you can find the Dahon Vybe C7a Folding Bike when it is folded. When you have a closer look at the bike frame, you can see the folding mechanism. Dahon`s folding mechanism is extremely nice, because besides its closing mechanics a strong magnet holds the bike together. 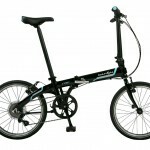 One of the largest advantages of triangle hinge folding bikes, is their ability to be folded more than once. Usually such folding bikes can be either folded in the middle of the frame and also on the rack. This makes out of the bike an extremely compact pack, which can easily be stored in many places. A lot of buyers of triangle hinge folding bikes recommend to store their bicycles in the back of their car in case of emergencies. One of the best examples for such a bike type is the APEX 16″ Folding Bike Shimano. As you can see from the picture below the APEX Folding Bike can be folded on two places, which makes the bike extremely compact. Breakaway folding bikes are constructed to collapse. That means that usually the bike does not have to open a folding mechanism to fold or unfold such a bike. Furthermore, breakaway bikes are usually much smaller build in terms of space, because their main goal is to make the folding process as convenient as possible, without opening many screws or parts to fold to the side. However, the main disadvantages of such bikes is that their collapsing process usually takes much more time than conventional folding bikes. It has also be said here, that this disadvantage does not make such bikes unpopular. Indeed, breakaway bikes are highly popular under city commuters, because of their robust nature. Below you can find the Nanoo Folding Bicycle. As you can see through its folding mechanism in the middle of the bike the folding process is extremely easily and you won`t need to store any additional parts, such as the saddle or the front rack, anywhere. What to look for when buying a folding bike? There are a lot of different folding bike models on the market. 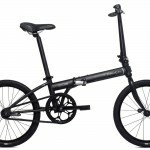 Therefore, you can also find a lot of different quality as well as price ranges, when you search for a new folding bike. However, first time shoppers as well as folding bike veterans have to consider the below factors to determine, if their folding bike will fit their need perfectly well. Bikers, who bought a folding bike, mostly like the portability of their bicycle. Therefore, one of the most important features when you look out for a new folding bike should be the weight of the bike`s frame. The heavier the frame is the more you have to carry, when you fold your bike. The best frames are usually made out of titanium. However, such bikes are usually very expensive. If you want “the better alternative”, I suggest that you are buying a bike with an aluminum frame, which is not as lightweight as a titanium frame, but also not too heavy. An extremely good example of such a bike is the Stowabike, which has also a quite affordable price. Another extremely important feature is how easy can the bike be assembled, when you receive it. Some folding bike models have some screws, which you need in order to assemble the bike fully. Others come fully assembled out of the box. 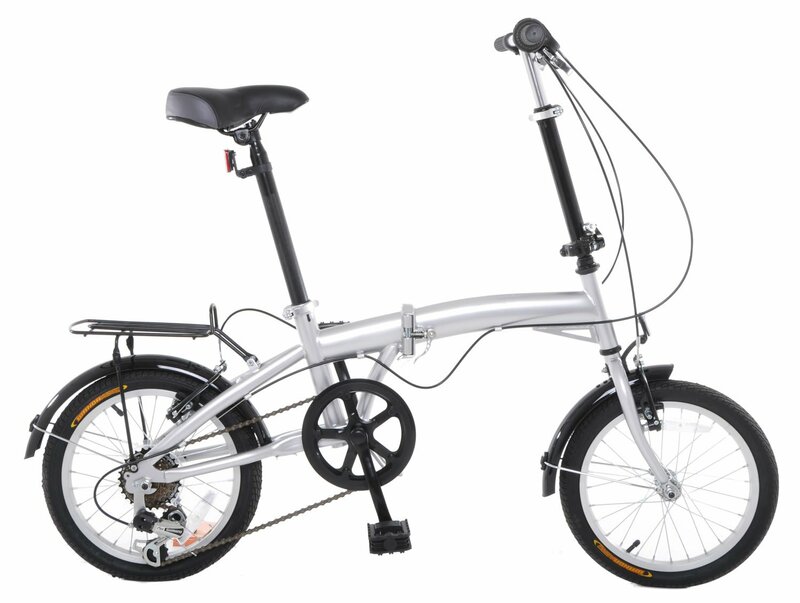 The best example for a fully assembled bike is the Dahon Speed Uno, which comes folded and can be used immediately when you receive your order. Furthermore, for a folding bike it is also very important that it can be folded without much effort and also very quickly. There are a lot of different folding mechanisms on the market(mid folder, triangle hinge and breakaway bike). I personally like the mid folding mechanism the best, because you only have to fold your bike once and also the bike is more robust when riding it. However, other people have other preferences in terms of folding. Therefore, checkout the previous section(Which methods of folding are common?). If you would like to use your folding bike in your everyday life than it is a good option to have some bags or a basket on your bike, in order to transport stuff. Therefore, before buying a bike you should definitely think about the purpose, which your bike should fullfill. However, you can also install afterwards a bag or a basket on your bike. 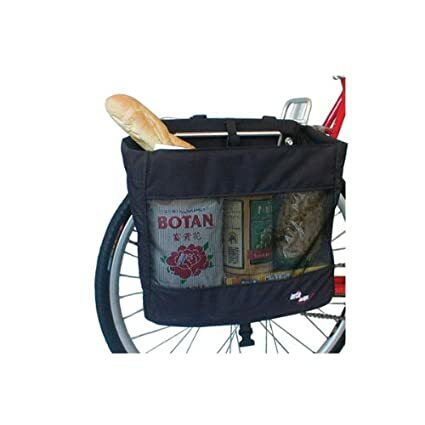 I recommend the following bags/baskets to transport for example your groceries on your bike, the Wald 535 Rear Twin Bicycle Carrier Basket or the Inertia Designs Metro Basket. Are you a city cruiser or do you like to climb mountains and ride downhill. There are different bikes for different purposes. One popular folding bike for mountain lovers is the Montague SwissFolding Bike X70 18″. If you love to cruise in the streets the Dahon Speed Uno is probably a better fit for you. If you went through all the factors above, you definitely have a great picture, which purpose your folding bike has to fulfill. Therefore, when searching for YOUR folding bike, you can see how you could change different factors in order to get to the desired price you want. However, if you are still undecided read the next section, which shows you a fine selection of folding bikes. What are the best folding bikes?